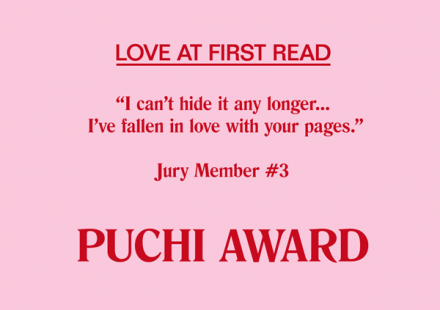 »The Puchi award will be gov­erned by the fol­low­ing rules: This com­pet­i­tion is open to lit­er­ary and graph­ic pro­jects of any kind that stand out by vir­tue of their premise, lit­er­ary and graph­ic qual­ity, ori­gin­al­ity, uncon­ven­tion­al­ity or mould-shat­ter­ing con­cep­tion. A book can con­tain everything and any­thing, and that is pre­cisely what this con­test wants: fic­tion and non-fic­tion, essays, inform­at­ive lit­er­at­ure, poetry, illus­tra­tion, com­ics, cook­books, geo­graphy books, com­bin­a­tions of the above or any oth­er type of work. The win­ner will receive a cash prize of €8,000 (VAT and all oth­er taxes included, as an advance on the rights of the pub­lished work) and have his/​her work pub­lished and dis­trib­uted by Ful­gen­cio Pimen­tel. Pro­jects may be sub­mit­ted before March 07th, 2017 at 12 noon (GTM+1). To sub­mit fill the form at the end of this page. The Puchi Award is presen­ted by La Casa Encendida and Ful­gen­cio Pimen­tel.